There comes a time when a VPN (Virtual Private Network) serves its purpose. Whether it's because you no longer have a need for all the good stuff a VPN brings, the service didn't live up to your expectations, or any other reason, there's no sense in throwing money, particularly with customer-friendly refund policies. 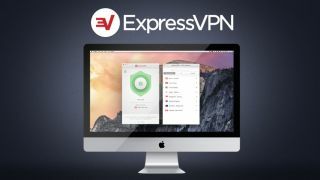 ExpressVPN doesn’t have a free trial, but it does offer a generous 30-day money-back guarantee which allows you to test their services without limitations during that period. This guide will show you how to cancel your subscription with ExpressVPN. One final word of advice, though: if you're bent on cancelling due to technical issue(s), make sure to check in with the customer support first. These are the most common problems with VPNs and trained teams can resolve them efficiently, especially seeing as ExpressVPN's support is available round the clock via live chat or email. Open your favourite web browser and navigate to ExpressVPN's website. Sign in to your ExpressVPN account. Here you can see a list of all your active subscriptions with ExpressVPN. Under Subscription, click on Manage settings. Click the line that says Turn off automatic renewal. Confirm that you want to do this by clicking Turn off automatic renewal again. You will be asked to confirm your choice once again, along with information that you will need to make a payment before a certain date to keep your subscription alive. Click Turn off automatic renewal again. You will be redirected to your dashboard where you will see a message in red confirming that your automatic renewal is now off. After doing this, you should receive an email from PayPal (if you initially paid with it) confirming that your automatic payments are suspended. The easiest way to contact ExpressVPN customer service and ask for a refund is to click the green button in the bottom right corner of the website which says Need help? Chat with us! Clicking it will open a live chat window where you can ask a member of the ExpressVPN team for a refund. They might ask you to state a reason for your cancellation, but don't worry, this is just a formality. Soon enough, they will confirm the cancellation and tell you that you will receive a refund in five to seven business days. Now that you’ve requested your refund, you only have to wait a few more days for a confirmation email to arrive. In the meantime, you’re free to use your ExpressVPN service. After the refund has been processed, you will also get a message telling you that your account has been cancelled and a refund has been issued.